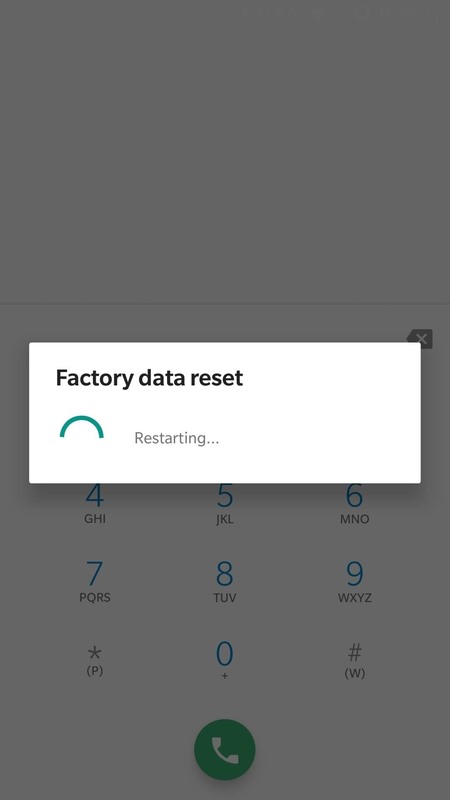 OnePlus has coded in numerous secret diagnostic modes that can be accessed from the Phone app's dial pad to aid in production line quality control and after-sales troubleshooting. In addition to these, popular GSM-based carriers like T-Mobile also come with their very own secret codes to better access their services. The dialer codes below have all been tested on the latest firmware versions for the OnePlus 5T and 6. However, some of the codes provided may only work with specific models, not to mention different wireless providers, so your results will vary depending on what model or carrier you have. Note that these dialer codes work in various ways. 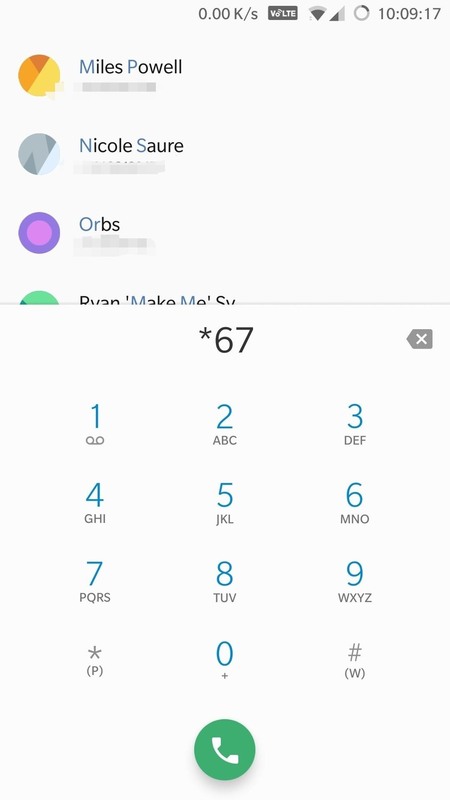 Most OEM-specific dialer codes will be activated automatically once you input the last digit or symbol, while some codes will require you to hit the green "Call" button to activate. 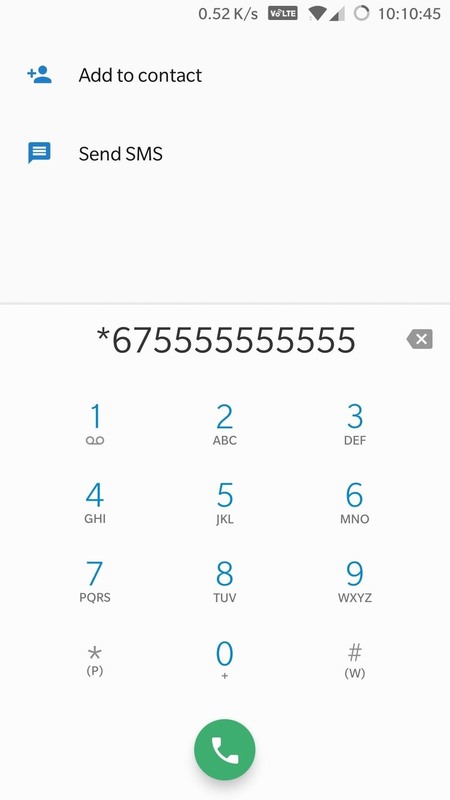 Besides those, some codes require a phone number to work, so if you see an XXXXXXXXXX in any of the codes below, you'll need to enter a ten-digit phone number in order to activate them. 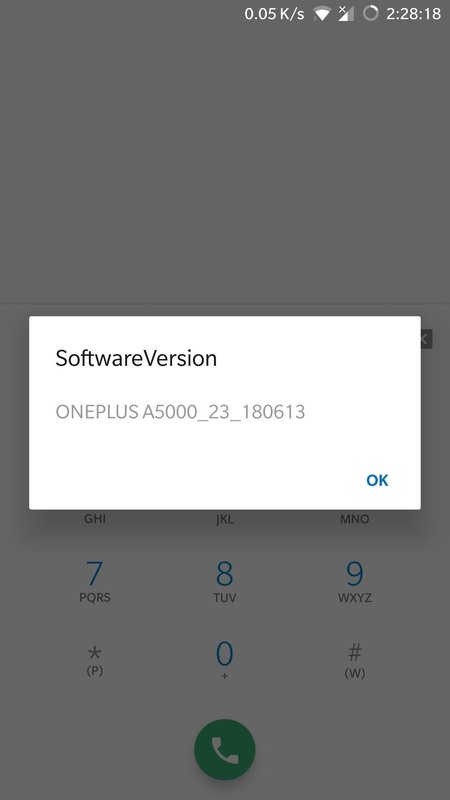 Either input *#1234# to instantly view your device's firmware version/build number, or *#6776# to open the "Software version" page for your OnePlus device. 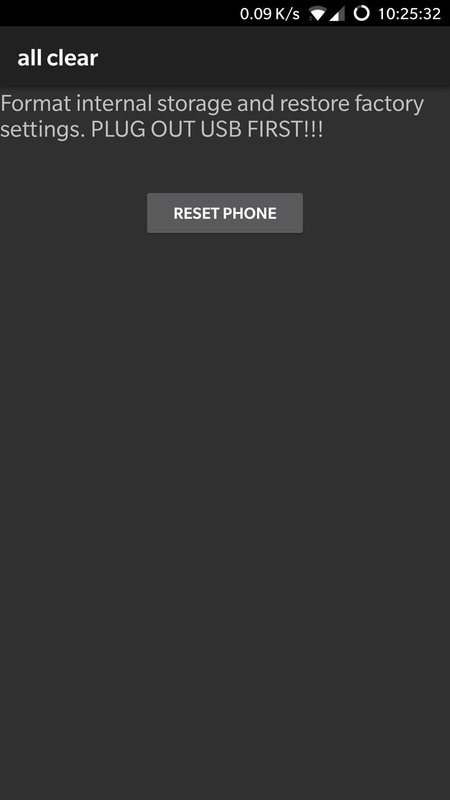 Of course, you can view the same exact information by heading to the "About Phone" page in Settings, but inputting either of these codes saves you the extra steps of navigating through menus. OnePlus recently made headlines as serious security concerns grew around its preservation of a secret diagnostic tool on its devices which could potentially allow hackers to gain root access to its handsets. The company defended its decision to leave the app intact, however, noting that failsafes like USB debugging and the need for ADB commands are enough to prevent any third parties from gaining root access. 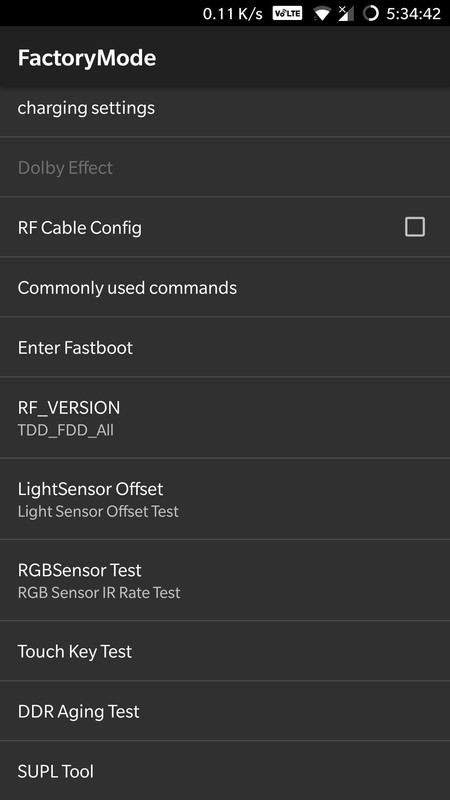 The app in question — EngineerMode — is a diagnostic tool that's primarily used for ensuring software components function as they should while still in the production line, but can also be accessed to troubleshoot your OnePlus handset under the guidance of after sales support. To enter Engineer mode, input *#36446337#. 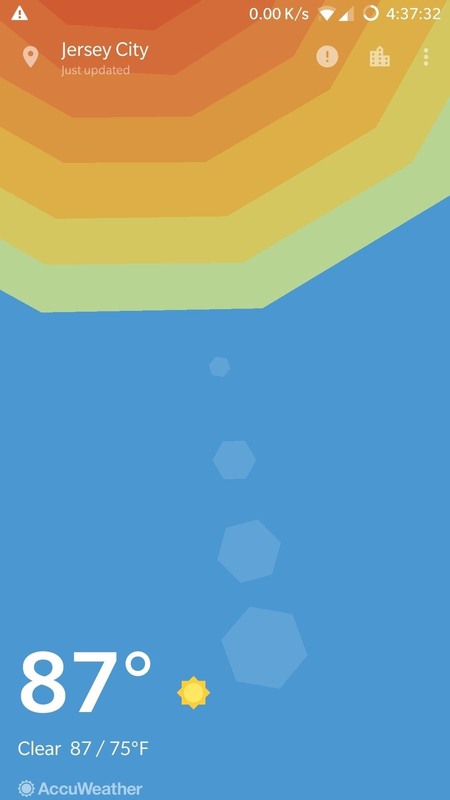 Upon inputting the code, you'll be taken to a "FactoryMode" page containing various tests and settings that you can access. Notable options include the ability to instantly enter "FastBoot Mode" without the need to shut down your device, along with the option to instantly wipe all data on your device by hitting "All Clear." Another aspect of EngineerMode, Manual Test Mode is a series of hardware and software tests. 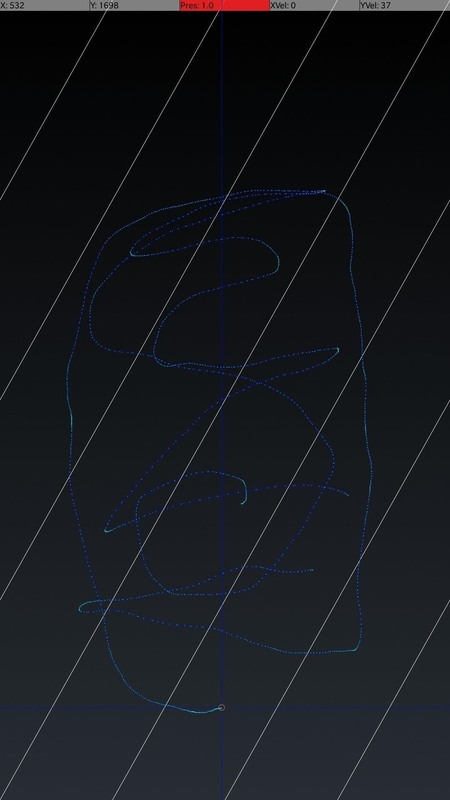 To enter this mode, enter *#808# on your phone's dial pad. 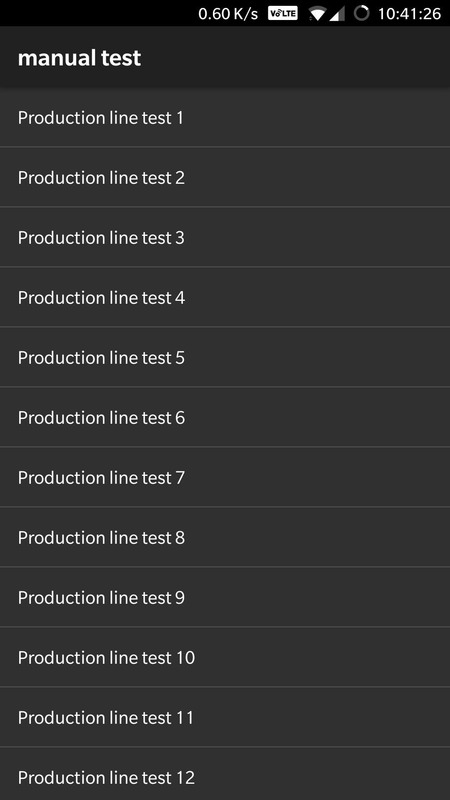 There's around 81 separate tests that your can run, ranging from automated "Production line" tests that give you a glimpse of the quality control testing that goes into each device, to more standard hardware tests such as touchscreen functionality. 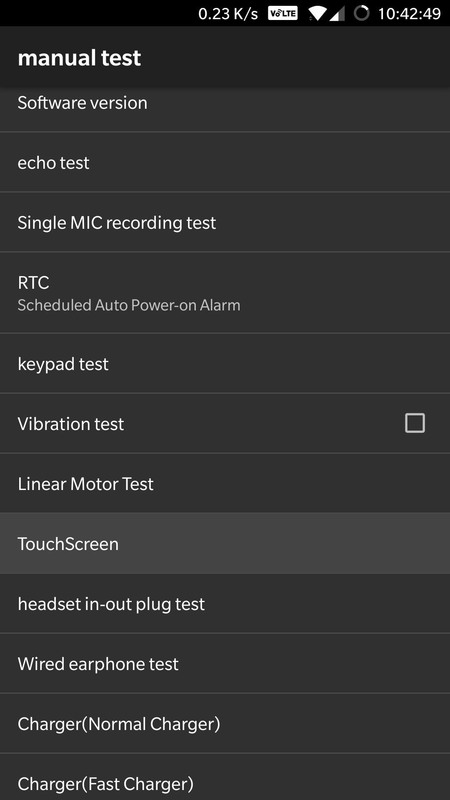 In all, Manual Test Mode is a great way to run diagnostics on your OnePlus handset to make sure that everything works as it should. 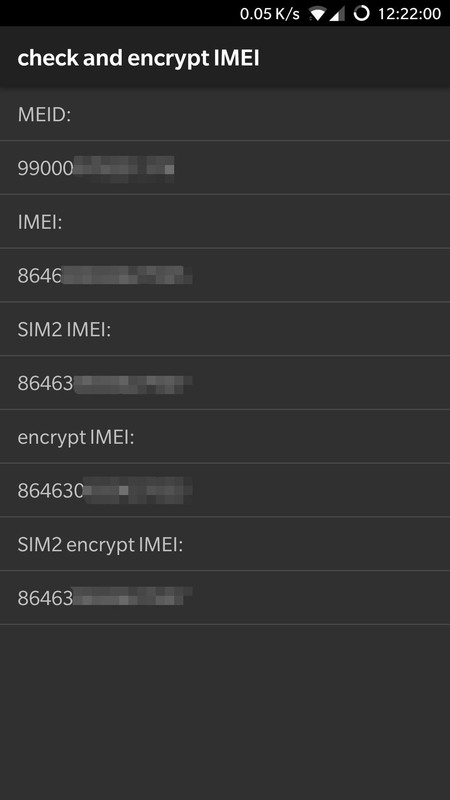 The IMEI, or International Mobile Equipment Identity, is a 15-digit number that's a uniquely assigned to every handset, much like a fingerprint for cellular phones. It's very important to know your device's IMEI, as it lets you disable it and render the phone useless for calling and texting in the event that it gets lost or stolen. 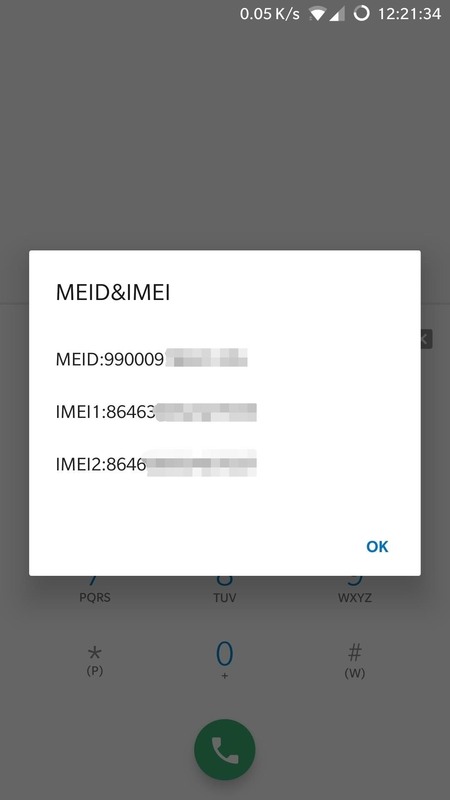 Besides the standard *#06#, you can also input *#66# to go to the "Check & Encrypt IMEI" page which shows more IMEIs marked as encrypted, though there's no options available to change from one IMEI to another. Retrieving your handset's IMEI with the help of these dialer codes is way faster than going to "About Phone" page within its settings, or looking for the original packaging that you may have discarded. As such, we recommend memorizing this simple command for those moments where you'll need to quickly retrieve your device's IMEI for troubleshooting or reference purposes. 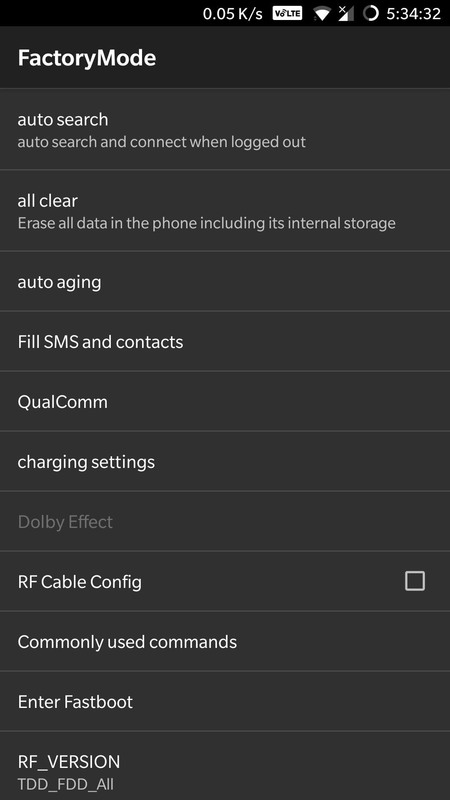 OnePlus lets you instantly wipe all data and restore your device to factory settings by inputting a variety of dialer codes, depending on how much information you want to preserve. For instance, you can enter *#*#7780#*#* to remove your Google account and all the apps you've installed, along with all data associated with them, but keep all other files like photos and other media files. Be careful of what code you input however, as *#*#947322243#*#* will instantly reboot your device in preparation for a factory data wipe and reset, as opposed to *#8778# and *#*#7780#*#* that can be easily canceled by hitting the back button. 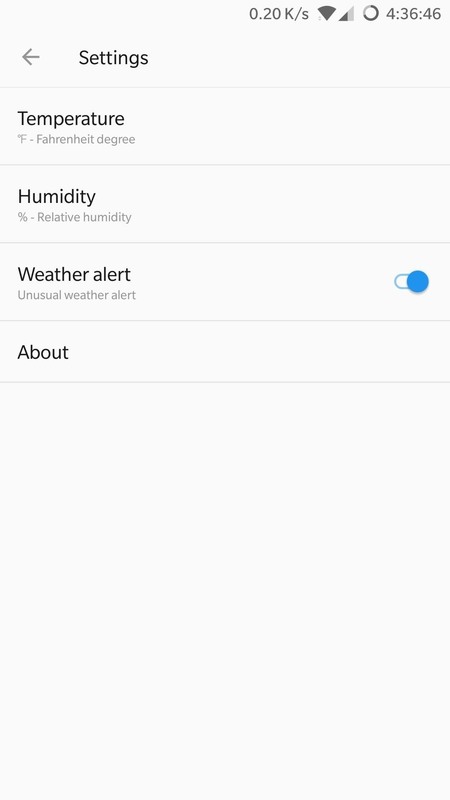 These codes gives you instant access to numerous settings — from setting a primary city or adding new ones, to switching between Celsius or Fahrenheit for temperature and humidity readings, or enabling weather alerts to keep you up to date with any impending weather-related emergencies. 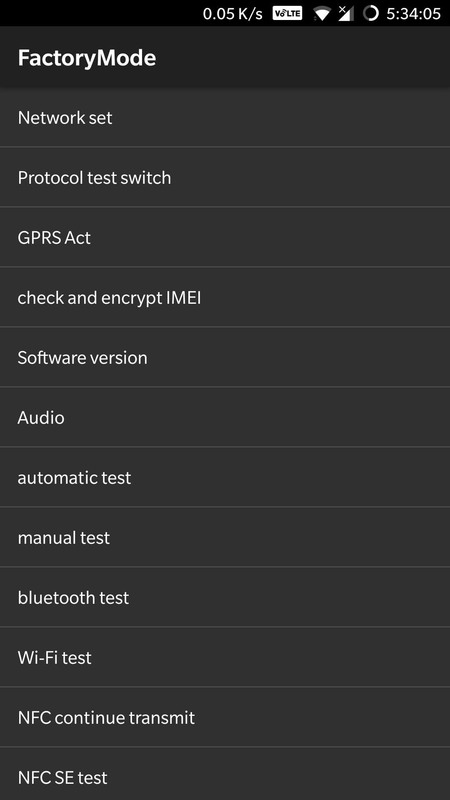 If the sheer amount of dialer codes we've highlighted so far weren't dizzying enough for you, OnePlus has a ton of other codes available for testing software and hardware components. 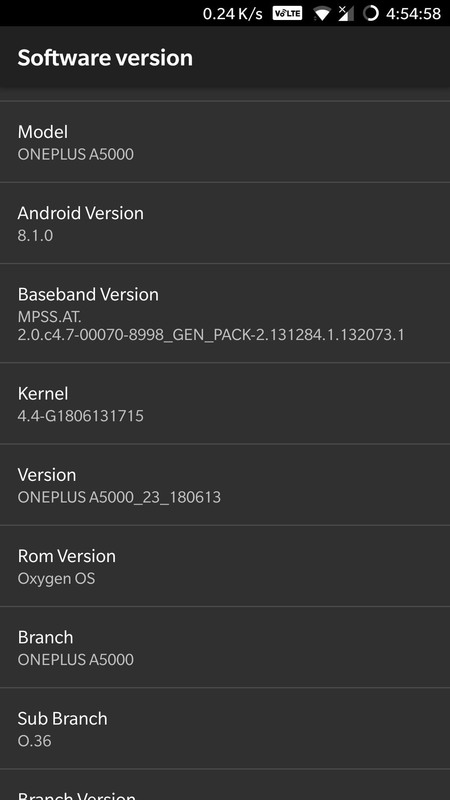 Unfortunately, these codes may only be reserved for OnePlus itself, as it's hard to determine their purpose. While you're free to input the codes and see for yourself, we recommend not changing any of the settings — especially the ones in Chinese — to avoid unintentionally damaging your device. *#8011# ...............Unknown, shows "Config success"
*#*#3439#*#* ..........Shows a toast notification that says “French custom edition"
Thanks to FCC's mandate requiring all US carriers to give consumers the option of blocking their information from showing up on caller ID screens, you have the freedom to make anonymous phone calls simply by inputting a short code before the recipient's number. Once dialed, your recipient will receive your call as usual, but with your name and/or phone number completely blocked off. To do so, enter *67 right before dialing the number of someone you want to reach, then hit the call button as you normally would. All they will see on their end once the call goes through is "unknown," "private," or something similar. Just bear in mind that the chances of your call getting answered go down significantly due to the prevalence of anonymous spam and marketing calls. In the opposite end of the spectrum, if you've instructed your carrier to block your caller ID on all outgoing calls, you may find the need to reveal your identity in some cases. To do this on a call-by-call basis, you'll need to enter *82 before the recipient's number. 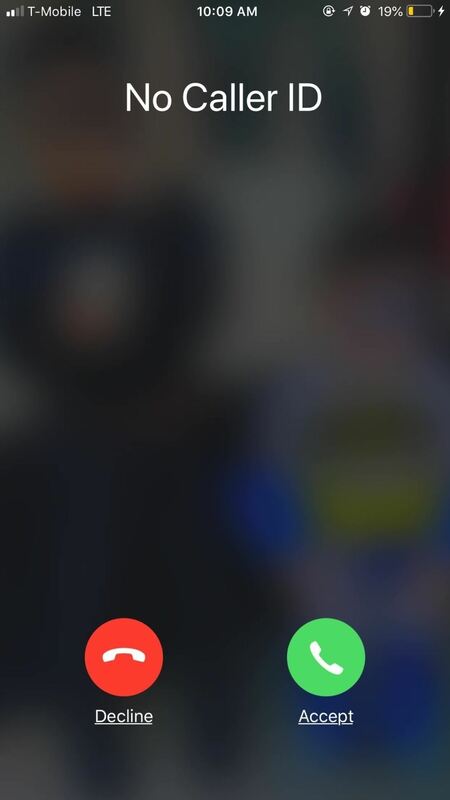 This option is ideal for making your presence known, especially if you're trying to reach an important contact in an emergency or business opportunity, as well as contacting people who are known to block unknown callers. Again, T-Mobile has an alternative code available. A popular directory assistance service with a live operator, 411 is available for all major carriers and can be accessed simply by inputting the three-digit number and hitting the call button. The service is great for finding the phone number, address, or basic info for a business, along with directions, and so much more. 411 is especially useful if you can't access your go-to apps due to poor internet service. Bear in mind, however, that the service isn't free, and charges $1.99 for each call made, so use the service wisely. Fortunately, T-Mobile and AT&T will give you some leeway — the former gives you three free 411 calls, while the latter gives you two. We recommend using Yelp, Google Maps, or good old Google when looking up information, and saving 411 as a last resort. If you'd like to learn more about 411 and the cost and services for each carrier, be sure to head over to the support pages for AT&T or T-Mobile to help stave off nasty surprises once your bill arrives. One of the most important three-digit numbers at your disposal is 611, which instantly takes your to your carrier's customer service line and saves you the hassle of hunting for their business numbers just to end up jumping though hoops. Best of all, the number is free to call. Calling 611 will usually take you through an automated phone system which can connect you to wireless customer service in varying departments like technical support or billing. Please note that not all of the departments can be reached around the clock or 24/7, so visit AT&T and T-Mobile to see what hours various services are available. If you've hit an area with poor cellular service, resulting in inaccurate traffic information on either Google Maps, Waze, or some other app that has live traffic updates, give 511 a try. 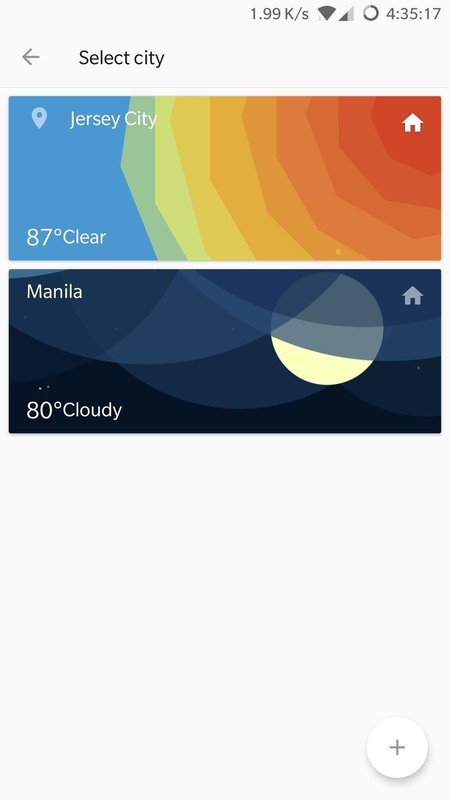 This is number provides local traffic conditions and updates in real-time, and it should work on all carriers. This service, however, can vary from state to state, since carriers are reliant on them to implement it into their databases to provide accurate local traffic conditions. As an example, Sprint's 511 system won't work in Alabama, Alaska, Arkansas, Connecticut, Delaware, Michigan, Montana, North Dakota, and Oklahoma, but does in all other states plus DC. If you'd like to check your bill on your OnePlus device on the fly, you can enter either *225# for AT&T or #225# if you're on T-Mobile. After placing the call, you'll either be greeted by a verbal recording detailing your statement (AT&T), or a toast notification summarizing your current bill along with the last payment you made (T-Mobile). AT&T and T-Mobile both let you instantly check your data usage on your OnePlus device in real-time with the use of dialer codes. To do so, simply enter either *3282# of you're using AT&T, or #932# if you're on T-Mobile. After calling one of the codes listed above, based on what carrier you have, you'll either receive a verbal readout, or a notification detailing your total internet usage for the month so far. You have a lot more options for call forwarding, however, if you're on T-Mobile, and can use the following codes for all your forwarding needs. Visit T-Mobile's website if you'd like more details on the codes provided below. Unbeknownst to many, there's another way of calling for emergency services besides 911, and it's just as simple. 112 is not just the name for a 90s R&B band, it's also the primary means of reaching emergency services in countries within the European Union. And since your OnePlus is GSM-based, you can actually dial 112 in the US and be redirected to 911, regardless of whether you're on AT&T or T-Mobile. Of course, what's the point of dialing 112 when you can just call 911. Granted, it's not very "secret," but it's the most important number to know in an emergency. As a testament to its importance, this number will work regardless of which carrier you have, and may even save your life in a dire emergency. Believe it or not, all the service codes we've detailed above are just the tip of the iceberg, as each carrier comes with its own specific set of codes that you can use, in addition to all of the ones we've listed above. Keep in mind that some of these codes are plan-specific, such as T-Mobile's codes for prepaid plans, so your results may may vary. The following short codes were sourced from AT&T's website. The following dialer codes were gathered from T-Mobile's website. With the sheer amount of OnePlus codes that we've provided, we wouldn't be surprised if we've overlooked a code or two, or included some that may not work for your OnePlus device. So please, let us know in the comment section below if you've found any other codes or if one of the above codes isn't working for you.